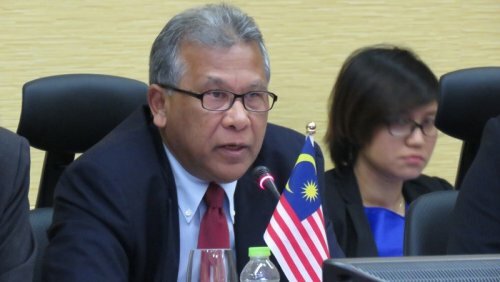 Kuala Lumpur: The government will review several trade agreements such as Comprehensive and Progressive Agreement for Trans-Pacific Partnership (CPTPP) and the Regional Comprehensive Economic Partnership (RCEP) to see if its viable to be part of the trade partnerships. Ministry of International Trade and Industry (MITI) secretary-general Datuk Seri J. Jayasiri said as there is no trade minister yet, the review exercise is something definite to be undertaken by the new government. Jayasiri said the decision will be reviewed by the new minister to ratify, citing that it requires some legislation to be amended. He was speaking to reporters after the launching ceremony of the SEMICON Southeast Asia 2018 here today. He added the trade agreements negotiations are currently still on going, and believed that the new government will be supportive of RCEP and CPTPP. “Although 11 countries have negotiated for the CP-TPP, while six countries need to ratify the trade agreement to enter into force,” he said. CPTPP’s 11 members are Australia, Brunei, Canada, Chile, Japan, Malaysia, Mexico, New Zealand, Peru, Singapore and Vietnam. RCEP is a free trade agreement between 10 Asean countries involving Australia, China, India, Japan, South Korea and New Zealand. Further, Jayasiri said Malaysia’s trade performance has been good for the last two years, better than expected. “This year we project Malaysia’s trade to hit around 5.9 per cent growth for 2018. Based on the first-quarter result, we are going on the right track. “Our trade performance is also conditional on what happened to the external environment. But it seems to show positive sign and augurs well for the Malaysian export,” he said. Jayasiri pointed out the electrical and electronics (E&E) sector has been the main player for the Malaysian manufacturing, contributing about 36.7 per cent of the total exports. “We are generally optimistic that the E&E sector would contribute a large portion to our export,” he said. Malaysian Investment Development Authority (MIDA) chief executive officer Datuk Azman Mahmud said the agency garnered about RM485 million approved investments in the first-quarter 2018. “The semiconductor investments are largely in Penang, both from local and foreign investors,” he said. Azman said the agency intends to use the same incentive scheme under the Promotion of Investment Act. “As the industry gears for higher technology, certainly we will improve the incentive to attract more high-technology project in the future,” he added. Jayasiri said more importantly Malaysia should have more business friendly environment and supportive ecosystem with other essential for potential investors. SEMICON is the region’s premier gathering of the global electronics manufacturing supply chain with over 400 booths and 300 exhibitors participation throughout the three-dat event. The event is also expected to attract more than 8,000 visitors at the Malaysia International Trade and Exhibition Centre (MITEC), featuring three theme pavilions, four global pavilions and technology forums to address key issues in the electronics manufacturing supply chain. SEMI Southeast Asia president Ng Kai Fai said the global semiconductor growth is expected to grow significantly for the next few years. Last year, the sector’s revenue surpassed US$400 billion, a 21 per cent increase year-on-year. “We believe the sector going to grow in this momentum to 2018, probably at US$450 billion and we project to surpass US$500 billion in 2019,” he said, adding that it was a huge potential for electronic sector in Southeast Asia. Ng said it foresees the catalyst for the semiconductor to grow with the utilisation in Internet of Things (IoTs), artificial intelligence, autonomous vehicle and cloud computing.